Bio-Thermal Therapy® treatments are a powerful, natural, and non-invasive way to support the body’s healing processes. This therapy uses various biologically compatible electro-therapies combined with a specially timed thermal application. 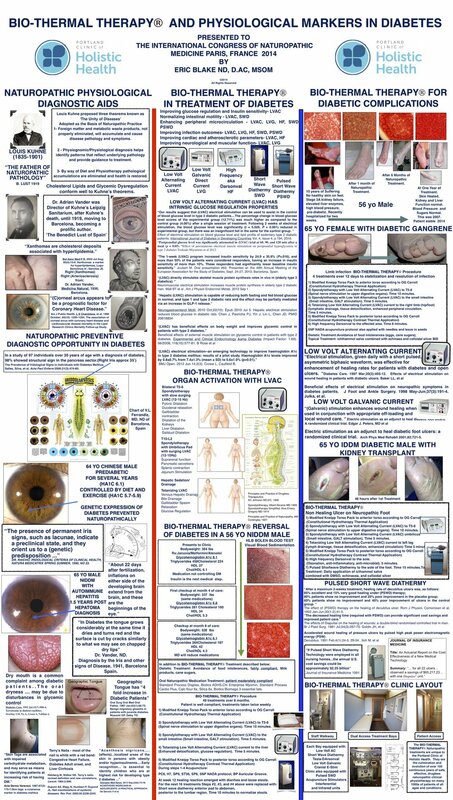 Bio-Thermal Therapy® is a non-drug method and has a long track record of safety and effectiveness. The special timing of the thermal application was developed in Europe and improves cardiovascular function and circulates the blood while the body is at rest. This circulation is combined with specially selected electrotherapy devices depending on the biological effect the doctor is seeking. The combination of electrotherapy units and towels is determined at each visit by the doctor after listening to your heart tone and bowel sounds, and considering your symptoms.The selection, combination, and order of the electrotherapy devices and the timing of the towels is adjusted according to your individual condition. The individualized treatment is charted by the doctor and then administered by one of our specially trained nurses.The treatments are pleasant, relaxing, and take about 40 minutes. You can read and learn more about the different biologically compatible electro-therapies in the electrotherapy bar below. Research has demonstrated that a series of treatments improves liver, kidney, digestive, and thyroid function, improved cholesterol values, and a normalization of high and low blood sugar levels. Other research has shown an increase in the number of white blood cells by 10,000 on average after only one treatment. Modern electrotherapy devices have potent beneficial biological activity and are pleasant to experience. The different waveforms have different effects on tissues. The electro-therapies can be combined to create a compounded benefit. Shortwave Diathermy is an energy wave in the radio wave spectrum. Diathermy feels like a ‘velvety warmth’. Diathermy improves white blood cell ability to consume bacteria, temporarily paralyzes bacteria in the energy field, relaxes the body, enhances nutrition delivery to the cells locally, and is considered a physical therapy antibiotic. Diathermy is used to treat many different types of infections including sinus, pneumonia, bladder infections, colds flus, and strep throat. Digestive disorders such as irritable bowel syndrome, ulcerative colitis, Crohn's disease, diarrhea are benefited by diathermy. It is also a part of thermal therapy in cancer care and inhibits cancer growth while improving tumor response to radiation and chemotherapy. Musculoskeletal problems like low back pain, muscle and joint sprains, and fractures also heal more quickly and effectively with the use of diathermy. The sine wave is a muscle stimulator – it is not a TENS unit. This device is commonly used in physical therapy to improve circulation, reduce swelling, improve muscle function, and reduce pain. We use it for this purpose for those common complaints. However, we also use it to treat digestive function and to improve immune system function. We place the the sine wave pads on the back and stimulate the spinal nerves that control the digestive processes. This activates the digestive organs and strengthens digestion, improves digestive enzyme output, and calibrates the digestive tract muscular rhythm. Patients feel a mild tingling on the back and my feel a gentle tug in the abdomen when the pads are on the back as the organs are activated. High Frequency current is another of our frequently-used tools. This is applied in a fashion similar to ultrasound – with a handle holding a treatment head. The current feels very mild and tingling with a slight warmth. It works as a form of ‘cellular massage’, and is quite gentle and effective. The current is antimicrobial, oxygenates the blood, improves the repair speed of joints, soft tissue and bones if they are injured, is anti-inflammatory, relaxes muscle spasm, reduces pain and recharges the nervous system. We use high frequency for asthma and respiratory infections, over injured sprained ankles, broken bones, inflamed and infected organs such as bladder or prostate, to encourage torn tissues to heal, areas of sharp pain, ovarian cysts, certain types of tumors such as fibroids, over the abdomen to treat PMS cramps, prostate issues, and more. Galvanic is a muscle stimulator like the sine wave, but it is a direct current, unlike the alternating current of sine wave. Galvanic creates polar (+ or -) chemical effects on tissues. It is especially helpful to stop bleeding such as in helping ulcers to heal. On the other hand, it can also soften scars so that they can be broken down and re-absorbed. It can also reduce pain, which it does quite effectively. We use galvanic to reduce pain and swelling, shrink hemorrhoids and swollen prostate glands, help stomach ulcers to heal, and more. Dr. Blake's award winning Poster Presentation. This was presented at the 2014 International Congress on Naturopathic Medicine. (ICNM). It presents Naturopathic Physical Diagnostic Signs in Diabetes and the use of Bio-Thermal Therapy® in the treatment of diabetes and diabetic complications.